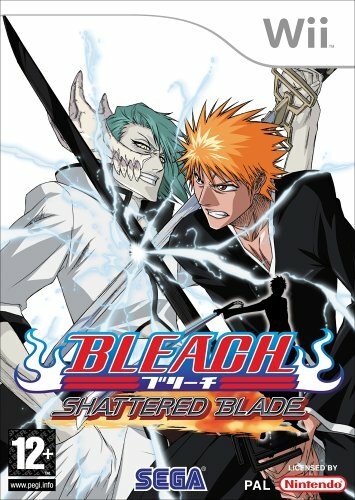 Copyright © Sega Corporation/ Shueisha Inc.
BLEACH - Shattered Blade is a Nintendo Wii title released some time ago ,based on a popular comic story ,There are comics/books/soft toys/TV series all for BLEACH. Now in this game from SEGA and VIZ MEDIA you must help Ichigo and his friends find the the shards of the mighty executioners blade so they may open the gate to get them back to the Human world. ( I haven't been told what world there in yet). Any way BLEACH is a hack and slash Wii game that uses the Wii remote to great effect ,Comprising of 32 characters fro the BLEACH world and various modes of play from a full arcade mode / versus,training and a story mode.On top of all this you get Photo galleries video galleries and items to buy in the Urahara shop.In story mode at the beginning you only get to choose from 3 characters but as you finish with each one another character is opened,so that in the end you will have played 32 story mode games and won of course to get to see all the various stories for each one. Arcade mode is just that you fight your way through the opponents in succession to win .Versus mode you and a friend can hack and slash with your Wii remotes and Nun-chucks to victory (whilst smashing your house up as you get carried away careful people)To learn your skills you have a step by step training mode to undertake or like me you just go for it an learn on the way. So as you can see above it's quite a crazy looking game with a real comic look.Whats nice is how easy it is to pull off the moves ,using the Wii chuck thumb-stick to move around and waving the remote to perform your stab/slash/and hacks to great effect.On the remote you have various buttons to hold down while doing the waving about to get assorted moves ,some are more basic whilst others are critical strikes that inflict more damage to your opponent,but take longer to perform,you block on the Z button on the nun-chuck and dash with the C .So is it good 'hell yes even though quite hectic at times it's fluidity makes it a blast to play and with so much to open it will last you ages just playing the single player modes. 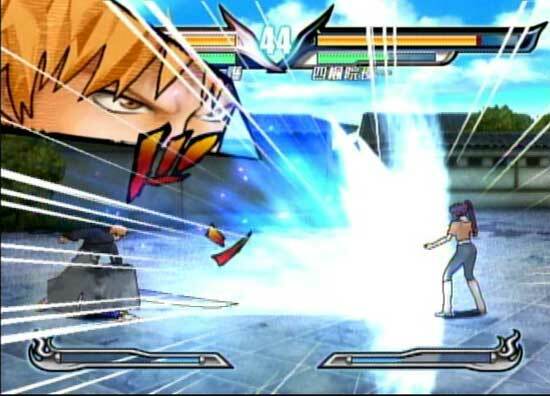 Now this game is also on Nintendo DS so you can hone your skills on that too,and along with a few other versions on the DS to play you won't be short of BLEACH time.Also another Wii title has recently been released so look out for a review of that here soon.